Omar Mateen is a name you will never see in the social media of leftists. There’s a far better chance you will see Wayne LaPierre’s name on their wall posts and tweets, decrying him and his organization’s refusal to bless exploitative infringements on the Second Amendment. 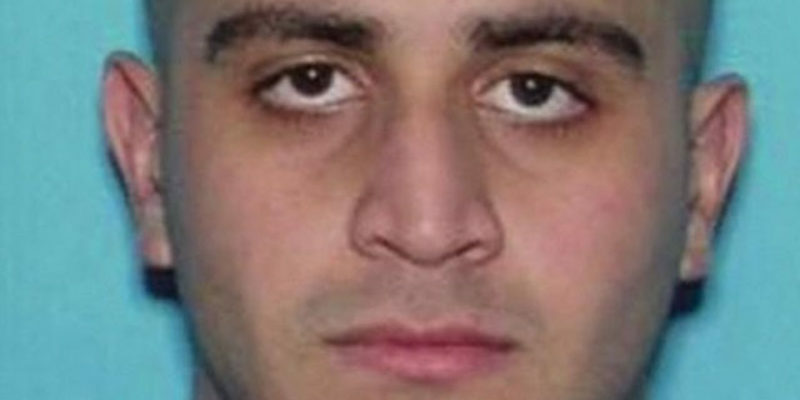 You might also see videos of Baptist preacher Roger Jimenez, a previously unknown minister, referring to the individuals killed at the Pulse gay bar as pedophiles in a sermon he delivered hours after the massacre. Yet they say nothing about the man who pulled the trigger or the faith and ideology that he espoused whilst on his murder spree. In fact by reading their posts, you’d think the perpetrator of the massacre was practically incidental to what transpired, just as likely to find the NRA blamed more so than ISIS. Their politically correct programming does not permit anger towards Muslims, even those firing semi-automatic weapons at a group of people they consider a vulnerable political constituency. Instead of resolve in the face of what is now the eighth Islamist terrorist attack on US soil since Barack Obama assumed the presidency, the motif de meurtre has been ignored and replaced with slacktivist exclamations of Stop the hate! Enough! The time has come! The debate is over! Capitalizing on death is de rigueur by Democrats, as they turn funerals into pep rallies for causes celebres and whatever candidate that is standing in the batting circle only feet away from the remains of the fallen. Sure, it’s terrible behavior but that’s what the Left does. And as tasteless as that Democratic habit is, the Obama Administration has successfully sunk to a new low by tinkering with the record of what happened was far more repugnant. Left on the evidence locker floor was his pledge to loyalty to the Islamist terrorist leader to whom Mateen dedicated his heinous savagery. You’d think that piece of data would be considered kind of important and something the American public would like to know. But relevant names were not the only changes on the document that could not be accurately termed a “transcript”. The “general summation” released on FBI stationery includes English translations of Mateen’s declarations that he had spoken in Arabic to seamlessly meld his comments together. Where Mateen says Allah, the sheet reads God. Where Mateen spoke in the tongue of the Prophet, the document has the words “in Arabic” bracketed in an attempt to make Mateen’s declarations seem more mundane, or rather less Islam-y. Attorney General Loretta Lynch attempted to justify the edits (or rather bowdlerization) to avoid spreading Mateen’s propaganda, sensitivity to the victims, and to protect the integrity of the investigation. As nobody was buying what Ms. Lynch was actually spreading, the Feds relented in the face of widespread criticism and put out the actual transcript. To call the omissions and substitutions simply redacting is too charitable; it’s Stalinist editing that purges an inconvenient reality to create a new politically advantageous narrative. Does anyone for one second believe that had a self-professed Christian evangelical committed this atrocity that shouts of Biblical verses and the Lord’s name would have been sanitized with something more spiritually androgynous? I think we all know better. We’ve gone from Nixon’s “expletive deleted” to Obama’s “Allahu Akbar abated”, the former masked mere profanities, the latter sacred truth. Bear in mind that this is the same administration that on the eve of the 2012 presidential election steadfastly clung to the lie that the “armed protest”, i.e. the paramilitary assault, on the Libyan consulate in Benghazi was due to the release of an offensive YouTube video. What happened in Orlando was an act of Islamist terrorism. Yet the media and leftist politicians saw the tragedy for what they wanted it to be: an opportunity to incrementally erode a constitutionally enshrined civil liberty while continuing to deny the existence of Islamist terrorism on American soil. The Democratic administration tampered with the transcript of a crime to deflect attention away from the perpetrator to transmogrify the latest iteration of Fort Hood and Chattanooga into a more politically desirable Sandy Hook. If the mendacity of this leftist administration does not shock you, then their Goebbelsesque manipulation of the Pulse massacre should disgust you. That cogs in the Leftist Academic Media Establishment have continued to collaborate with the Justice Department by pushing the “censored” transcript is an appalling reminder that they are not mainstream media but statist media. Someone should ask the left to be kind enough to at least not track any mud on the coffins they’re using as platforms to advance their shovel ready social agenda.